Published on: November 17, 2015 | J. Bradley Smith, Esq. 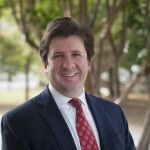 Charlotte Criminal Lawyer Brad Smith of Arnold & Smith, PLLC answers the question: A past conviction is keeping me from finding work what can I do? We’ve previously discussed the harms that can occur when children are charged with adult crimes and made to serve out punishment in adult prisons. Such heavy-handed tactics can prove counterproductive, creating young people who are far more likely to reoffend and live the life of a criminal rather than that of a productive member of society. Other research has shown that punishing young offenders in the adult criminal justice system also sets them up for abuse, both by prisoners and prison guards. Despite these two clear negatives, abuse and recidivism, legislators in North Carolina have still refused to address the state’s criminal justice system as it relates to young offenders, something that is ripe for reform. Though previous research hasn’t been enough to push legislators into action, a recent study published in the American Journal of Preventative Medicine touched on yet another negative consequence for these juveniles. According to the study’s authors, juvenile offenders who are transferred to adult court are three times more likely to die early than someone of the same age in the general population. Though it’s long been known that any interaction with the criminal justice system can increase a person’s risk of dying, the fact that juvenile offenders in adult court are 300% more likely to die young than others is astounding. Even more amazing is that this rate can actually increase, with the risk of death becoming greater the more severe the punishment the juvenile offender received. The study is important because it was able to clearly demonstrate the direct link between involvement within the criminal justice system and early death. Researchers did this by comparing criminal justice records with health records from nearly 50,000 teen offenders over more than a decade. The results showed that the juvenile offenders were most likely to meet their untimely end by being murdered. So what explains the reason for this increase in risk of death? According to the study’s authors, one reason is that being involved in the criminal justice system changes how a young offender sees himself and how the community sees the offender. 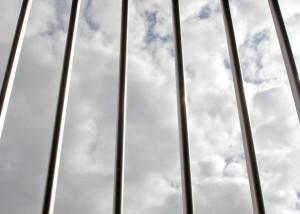 Each time a person is detained, the connection he or she has with the community and with society at large becomes more frayed. The young person feels like an outcast and begins acting the part, associating with others in similar situations, which often helps perpetuate a criminal lifestyle. The hope is that alarming studies like this one have an impact here in North Carolina, where the state’s laws are long overdue to be reformed. North Carolina is one of only 2 states in the country that require teenage offenders to be treated as adults in criminal cases. In North Carolina, the law says that all 16 and 17-year-olds must be dealt with in the adult criminal justice system, something that, as we know, can have far-reaching negative impacts.